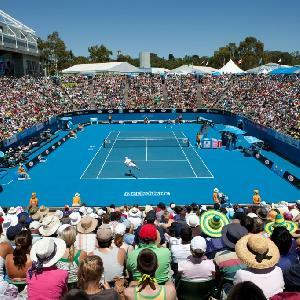 The Australian Open Tennis Tournament is one of the 4 major Grand Slam tennis tournaments and attracts people to Melbourne from all over the country and indeed the world. 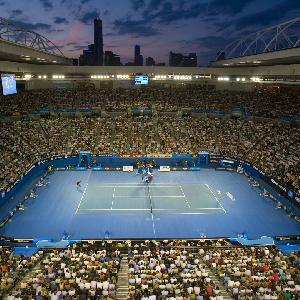 The Australian Open is always held in the second half of January and runs for 2 weeks the majority of the matches being played in the first week and the more important finals matches being played in the second week. 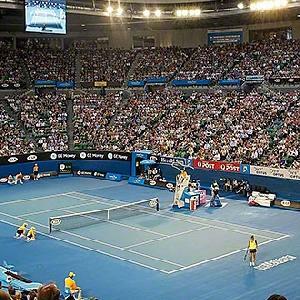 The Australian Open Tennis is held at Melbourne Park, which is in the heart of the city's sporting precinct in East Melbourne and includes the Rod Laven and Hisense Arenas. Because it is such a popular sporting event the The hotel, motel and serviced apartment accommodation in and around the Melbourne CBD fills up very quickly, so it is always a good idea to book your accommodation well in advance. Ranging from $39 to $54 for ground passes and $65 to $400 for seated stadium tickets. The finals matches are obviously the more expensive ticket prices and there are also family passes available as well. 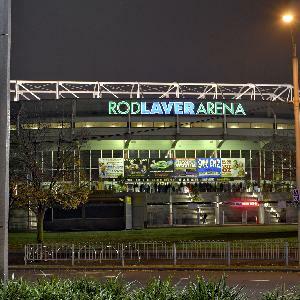 One of the best ways to get to the Australian Open tennis tournament is to take the train to Richmond Station and then walk 400 metres to the venue along Swan Street. 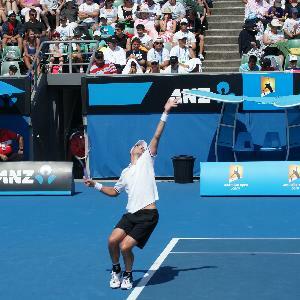 You can also take a short tram ride from Flinders Street in the city on tram route 70, which has dedicated tram stops for both Rod Laver and Hisense Arena. Alternatively you can easily walk to the Melbourne Park venue from Flinders Street station, St Kilda Road or Federation Square along the banks of the Yarra River and through Birrarung Marr Park. The Amora Hotel Riverwalk Melbourne has an enviable location along popular Bridge Road and just a short tram ride from the Melbourne Park tennis centre, the MCG and the city centre. The Amora Hotel Riverwalk in Richmond has stylish boutique hotel accommodation, as well as 1 & 2 bedroom self contained serviced apartments that boast a picturesque setting overlooking the Yarra River. 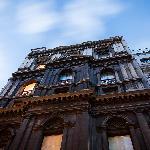 Located in leafy East Melbourne just a leisurely walk away from the MCG, Rod Laver Arena, Fitzroy Gardens and public transport ride into the Melbourne CBD the Magnolia Court Boutique Hotel is a great place to stay. Magnolia Court Hotel provides classic old world charm with bed and breakfast accommodation in a range of hotel suites, family suites, apartments and even a unique cottage. The Mantra City Central has a selection of 1 and 2 bedroom apartments that are fully self contained and ideal for sporting events, conference delegates, family holidays and business travellers. This affordable apartment accommodation is situated right in the middle of the Melbourne CBD, next to the Bourke Street Mall and just a short tram ride away from the Melbourne Park tennis centre and Rod Laver Arena.